As more survivors of human trafficking are identified, the number of organizations and individuals providing services has increased significantly. While there are large organizations with national recognition, many direct service providers work in small departments and have no way to connect to the larger anti-trafficking movement.  Freedom Network USA members are both small and large organizations and individuals with a range of expertise. We provide a platform for members to come together to support and learn from each other. If you are providing direct services to survivors of human trafficking, we invite you to read our policy papers to learn more about our values and approach. Associate Membership, a required 12 month introductory period, is the first step in becoming a General Member of Freedom Network USA. Associate Members participate in Freedom Network USA activities and efforts, while getting to know the other members, and better understanding the network's approach. FNUSA only accepts new Associate Member Applications during an open application period running from late summer into fall. In order to avoid any appearance of a conflict of interest, as a general matter individuals with a direct financial relationship (at least .5 FTE) with a federal or state agency are not eligible for individual membership with the Freedom Network USA at this time. This excludes educational institutions. Read the Associate Member Information Sheet for more details. General Membership is considered at the end of this period and gives members voting privileges and eligibility for leadership positions. Only after completing a year as an Associate Member, may an Individual or Organization apply for General Membership. Note: Invoices for dues will be sent out in December. If applicants are invited as Associate Members, they will be invoiced at that time. Please do not include a check in your application. Please provide your contact information and inquiry below and we will get back to you as soon as possible.